Who may need a vitamin B12 supplement to prevent a deficiency? Breast-fed infants of women who follow strict vegetarian diets have very limited reserves of vitamin B12 and can develop a vitamin B12 deficiency within months of birth. This is of particular concern because undetected and untreated vitamin B12 deficiency in infants can result in permanent neurologic damage. Consequences of such neurologic damage are severe and can be irreversible. Mothers who follow a strict vegetarian diet should consult with a pediatrician regarding appropriate vitamin B12 supplementation for their infants and children. Individuals with pernicious anemia or with gastrointestinal disorders may benefit from or require a vitamin B12 supplement. Older adults and vegetarians may benefit from a vitamin B12 supplement or an increased intake of foods fortified with vitamin B12. 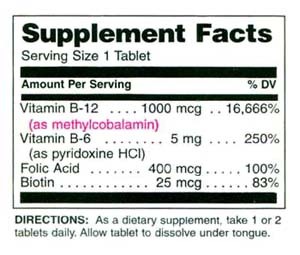 Some medications may decrease absorption of vitamin B12. Chronic use of those medications may result in a need for supplemental B12. 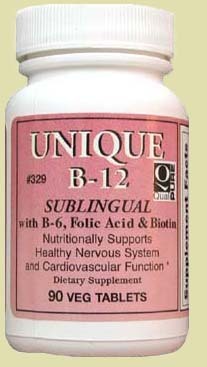 Individuals with gastrointestinal disorders Individuals with stomach and small intestinal disorders may be unable to absorb enough vitamin B12 from food to maintain healthy body stores. The products and the claims made about specific products on or through this site have not been evaluated by TheVitaminsYouNeed.com or the United States Food and Drug Administration and are not approved to diagnose, treat, cure or prevent disease. The information provided on this site is for informational purposes only and is not intended as a substitute for advice from your physician or other health care professional or any information contained on or in any product label or packaging. You should not use the information on this site for diagnosis or treatment of any health problem or for prescription of any medication or other treatment. You should consult with a healthcare professional before starting any diet, exercise or supplementation program, before taking any medication, or if you have or suspect you might have a health problem.